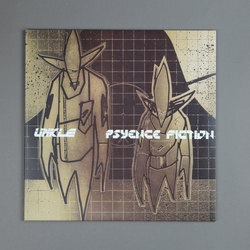 UNKLE - Psyence Fiction. Vinyl LP. Bleep. 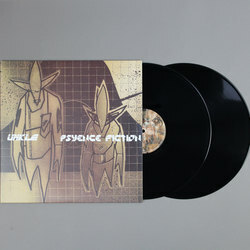 21 years since it was released, the Mo'Wax classic, Psyence Fiction by UNKLE comes back around with a fresh vinyl edition courtesy of UMC. Having reached number 4 on the UK albums chart upon its initial release back in 1998, Psyence Fiction has long been a cornerstone of the UK underground sound and a properly late 90s hip-trip-hop classic. 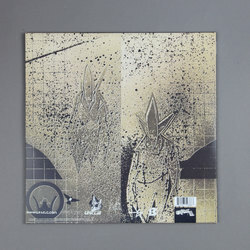 Arriving back on vinyl at a time when there is much-renewed interest within Mo'Wax, from The Man From Mo'Wax documentary to the unearthed and thought to be lost forever 'MWR157' 12" by Black Lodge seeing a release as a freshly expanded 12" on Arcola. This perfectly timed reissue is a reminder of why so many people hail Psyence Fiction as such a classic, every home needs a copy!